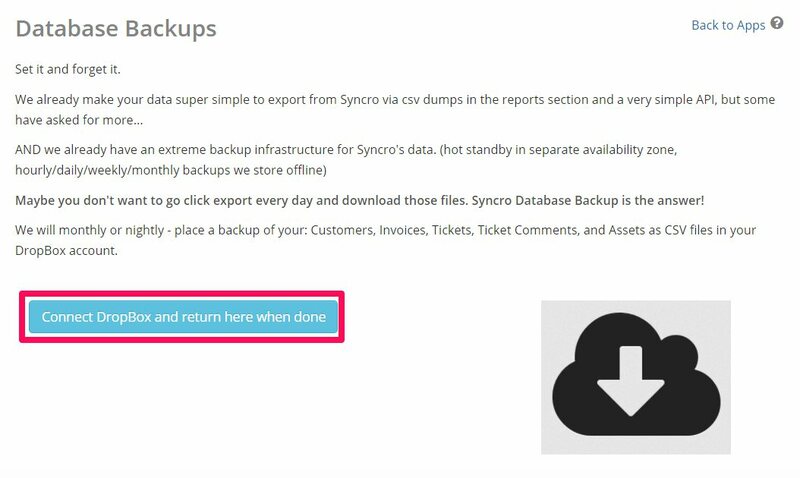 Database backups are included in The Advanced tier of Syncro (see pricing below). 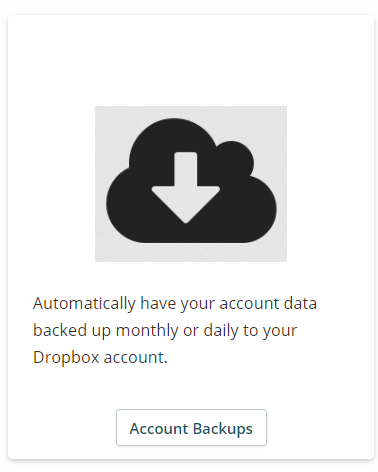 Once you have authorized your Dropbox account, you can choose nightly or monthly backups of your database. We will monthly or nightly - place a backup of your: Customers, Invoices, Tickets, Ticket Comments, and Assets as CSV files in your DropBox account. Follow the on-screen prompts to finish setup and you should be all set!